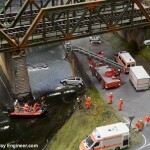 Looking for tools to keep your railway track clean on the cheap? 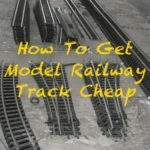 Model Railway Engineer finds 3 popular budget solutions from model railway magicians across the Internet. Perhaps simplest and easiest first. 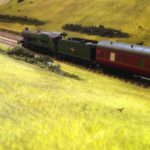 Railway forums across the web have numerous posts from members, such as this one on Model Railway Forum.Com, that recommend IPA Isopropyl Alcohol — both very similar — on a lint-free cloth. Just dip the cloth into the fluid and run it over the track head.I covered this on my YouTube channel here. IPA can be obtained here. 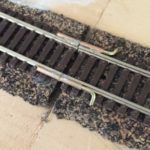 Involving slightly more physical effort (but not much), the gurus at New Railway Modellers suggest using track rubber. This is arguably the most common technique used by most modellers. 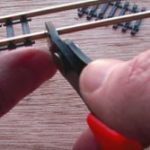 Track rubbers are available from approximately £5 via Amazon or model railway hobbyist stores, just rub your rail track over with this to shift stubborn dirt. 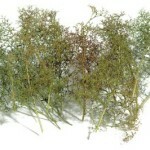 Amongst a discussion on this very subject over at yourmodelrailway.net was perhaps the lowest cost option. Use a bit of hardboard. In the post describing it, a description is given of how hardboard is attached to a wagon and then pushed around but there’s nothing to stop you doing this manually and just rubbing the track surface with the wood yourself — as would be done with the cloth and IPA tip above. Personally, I’ve using hardboard can work well for small areas but when used for larger runs of track the dirt seems to build up on the wood and ends up being distributed around the track. 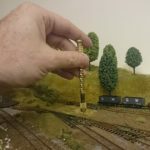 That’s 3 budget tips from model railway forums, what are your favourite techniques? Share your suggestions in a comment below. Dremel 3000 review – the best model making tool? Don’t use track rubbers! They are abrasive, and will scratch the surface of the rails, which will enable them to pick up and hold on to dirt all the easier; some of this dirt will be picked up on the loco wheels and transferred to the mechanisms.